I'm in love with my first and only Tole Tray. I found this on eBay a little before the holidays and decided to treat myself. It wasn't the cheapest thing I've ever bought, but I really love the green color with the pretty flowers. I'm really getting into green lately. 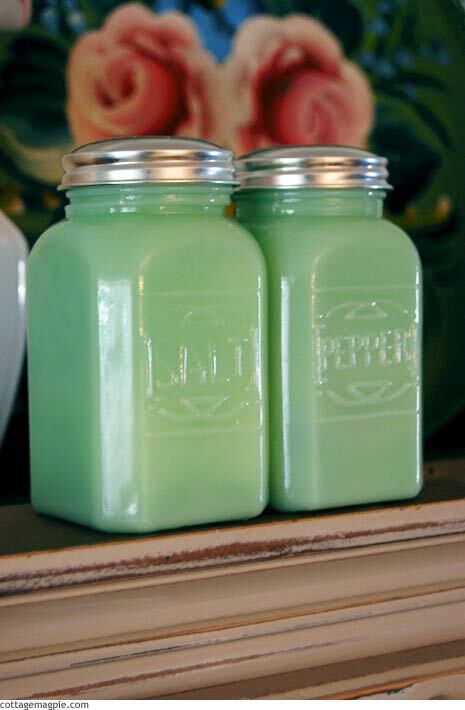 Like, take for example this great Jadite salt and pepper shakers. This was one of my husbands presents to me for Christmas. I have wanted some of these for soooooo long! Love Jadite. 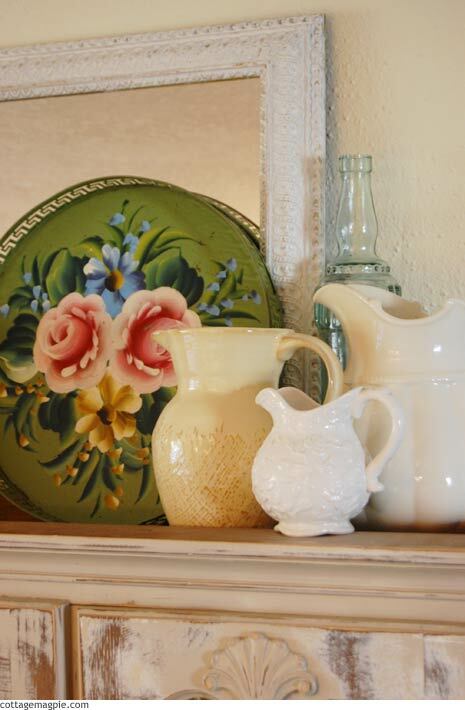 Here's another gift I got for myself, a vintage milk-glass pitcher to add to my pitcher collection. It was only $3, can you believe it? I found it at the Habitat for Humanity ReStore, one of my favorite places to find treasure. I'm loving all the yellow/cream and green with hints of pink right now. I have never thought of myself as a "pink and green" person, but when it's yellow and green with touches of pink, I love, love, love it! What about you? What did you get for Christmas?